IMMACULATE 1ST FLOOR 2 bedroom 1 bath FURNISHED CONDO in the popular community of ON TOP OF THE WORLD is waiting for you! All you need to do is move your personal items in and you are ready to start enjoying the beautiful FLORIDA LIFESTYLE. 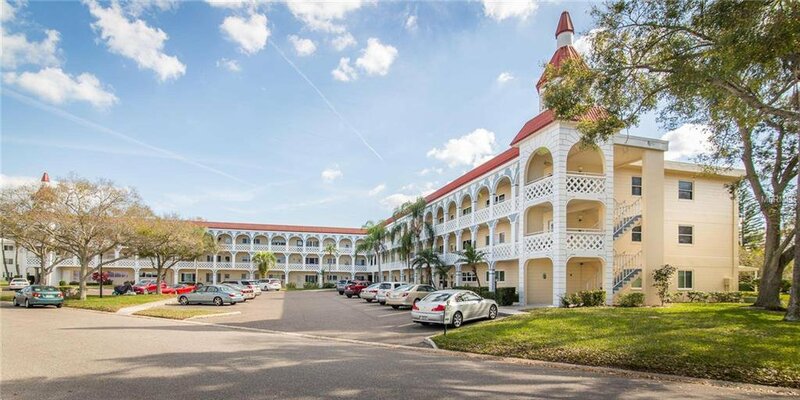 This SPACIOUS 1,100 sqft condo with FLORIDA ROOM opens to a ground level patio. Owning a first floor unit gives you a front and back porch! BEAUTIFULLY MAINTAINED with NEWER WINDOWS, BRAND NEW WASHER & DRYER, NEWER APPLIANCES, A/C 2008 and WATER HEATER 2008. The location of this building is great! You are close to the recreational building and all the activities it has to offer! On Top of the World has two activity centers, and two private golf courses with 9 and 18 holes, free for the exclusive use of resident owners. There are two swimming pools; one is heated. The newly remodeled Cardio Gym is equipped with up to date exercise machines. There are numerous hobby studios, a dog park and other amenities for the exclusive use of the residents. The many indoor activities include fitness classes, dancing, clubs, cards, billiards, entertainment, classes, and much more. Call today to schedule your private showing! Listing courtesy of TIFFANY ACCATTATO & COMPANY LLC. Selling Office: CHARLES RUTENBERG REALTY INC.